Michael Shannon’s cheer squad raises this film’s critical rating. No one seems to agree on what it’s about though. As far as I could tell whilst watching, it was a film about mental illness that demanded much patience of its audience. Then in the last minute it turns out to be a quasi religious fantasy about apocalyptic prophecy. 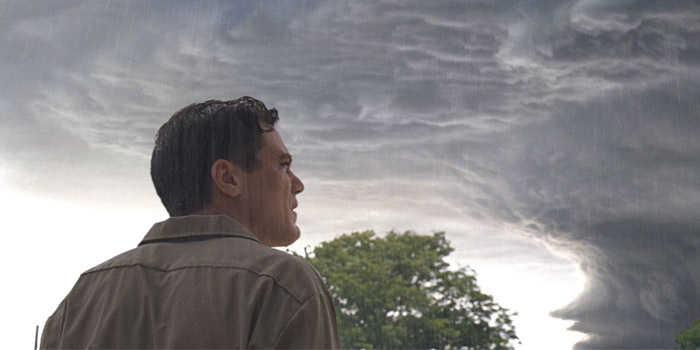 Some relegate all this to metaphor about a herd society blind to its own self destruction, but in the end Take Shelter‘s lack of consistency leaves it open a number of interpretations – albeit with none fully supported by events on screen. This doesn’t bother some people; for other’s it’s like a restaurant that expects you to bring your own lunch.